These are some pictures of some of the mirrors I have done. 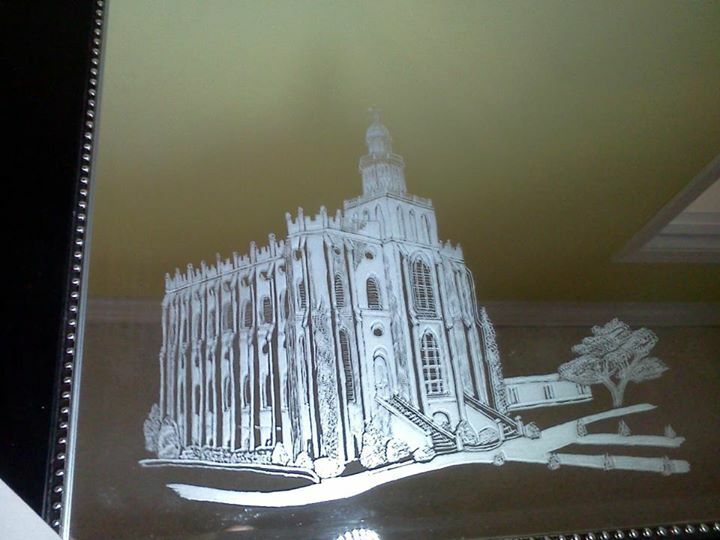 I start with the picture I want etched, I transfer the basic image to the glass using carbon paper, and then I use my flex shaft (a precision rotary tool) to engrave the surface of the glass. Mirrors are difficult because you actually see a double image as you etch. You see the surface image and the reflection behind it. I do not use any sand blasting, all my work is done by hand.